ATLANTA (AP) — As Atlanta vies for Amazon’s second headquarters, a developer just happens to be proposing a $5 billion downtown project with 9.3 million square feet (87 million square meters) of office space — more than three times the amount in the Empire State Building. No one’s saying it’s for Amazon — yet. Details of the massive proposed development are coming into view from public records and comments. An architect working with Los Angeles-based development firm CIM Group presented its proposal Thursday to an Atlanta business group. Christopher Sciarrone never mentioned Amazon during the one-hour presentation. But when asked after the meeting whether the project would suit Amazon’s criteria for its new headquarters, Sciarrone said “it would seem to.” He added that he does not know whether the project is being pitched as a site for Amazon. Public documents filed by the group don’t mention Amazon, but specifications of its proposed project are in line with the retail giant’s requirements. “The big vision for the developer is this really vibrant, urban, mixed-use community that’s walkable, that’s lively 24/7, that’s not just asphalt parking lots,” Sciarrone said. “It would be like building two of them right next to each other,” Leslie said of the 110-story Chicago high-rise, which has since been renamed Willis Tower. 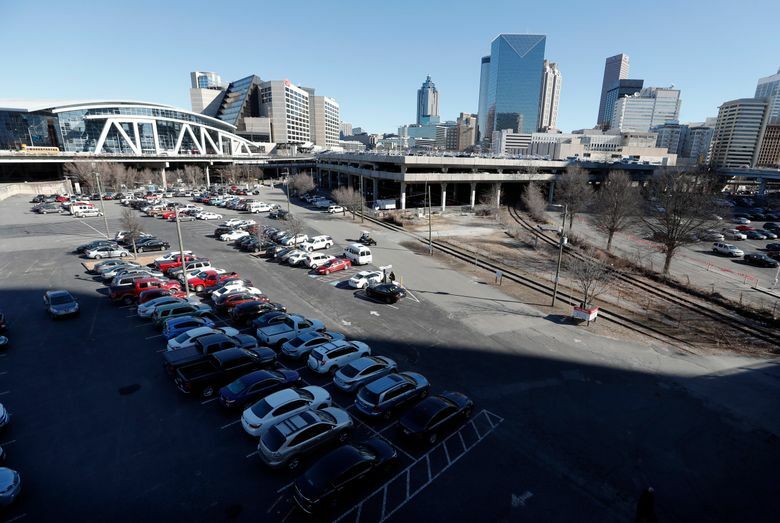 The Atlanta development would include 18 buildings in a part of downtown known as “The Gulch,” now covered with vast parking decks and vacant lots and sometimes used as a film set, according to planning documents from the Atlanta Regional Commission. 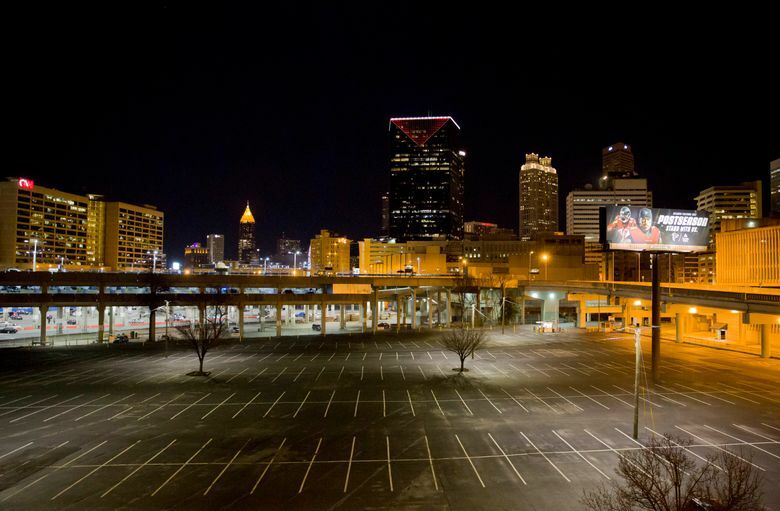 Hollywood crews used it to film scenes from the 2016 movie “Captain America: Civil War.” The AMC TV show “The Walking Dead” filmed from a rooftop overlooking The Gulch during the show’s first season. The office space would be spread throughout 14 of the buildings, which would range in height from 70 to 500 feet (21 to 152 meters), the planning documents state. It would also include a 350-foot (107-meter) hotel with 1,500 rooms and three residential towers. 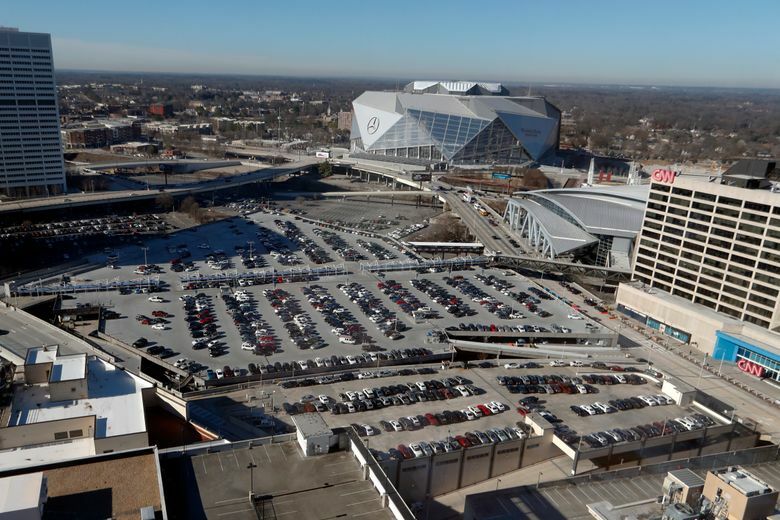 Metro Atlanta now has about 146 million square feet (13.6 million square meters) of office space, and the proposed project would be an increase of about 6.4 percent, said Barbara Denham, a senior economist at New York-based Reis Inc., which tracks commercial real estate. It would take at least 60,000 jobs to fill all the office space being proposed, Denham said. However, the metro area has been adding jobs at a rapid rate. Metro Atlanta had seen some of the highest rates of job growth in the U.S., adding 37,100 office jobs last year for a growth rate of nearly 5 percent, Denham said. “My first question is not just building size, but infrastructure,” Denham said. “Do you have the infrastructure to take on that much in terms of public transportation, highway and road access,” Denham said. At Thursday’s meeting, Sciarrone noted the existence of two rail transit stations at each end of the development. 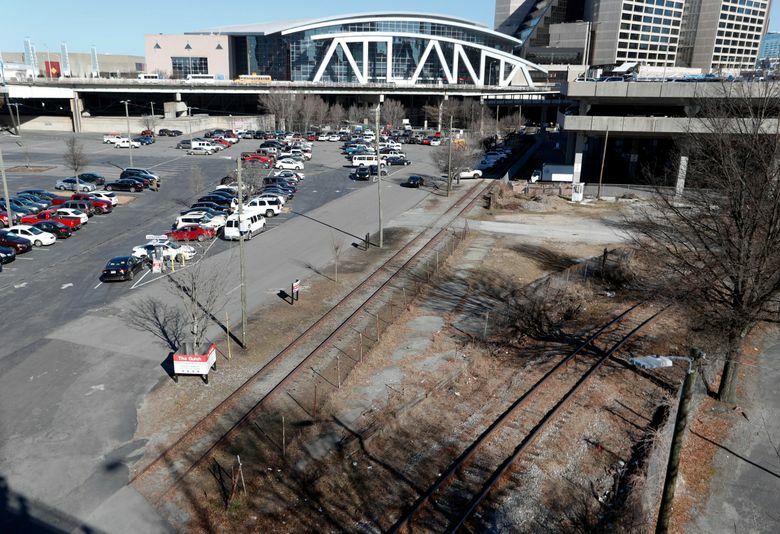 He said the team working on the project has discussed access to the stations with representatives of the Metropolitan Atlanta Rapid Transit Authority, and that public transit would be a key component of the development. The projected completion date is 2027, which is when Amazon has said it needs up to 8 million square feet (743,000 square meters) of office space in its second headquarters building known as HQ2 which could potentially bring 50,000 workers. Work could begin in about a year, Sciarrone said. The timeline is “ambitious, but doable,” said Richard Porter, a professor in the School of Building Construction at the Georgia Institute of Technology. Details of the project and its timeline would be likely adjusted, depending on market conditions in the next few years and other factors, Porter said. Amazon’s Seattle headquarters is 8.1 million square feet (753,000 square meters), and includes more than 30 buildings. Most of the 20 finalists for the Amazon project are keeping details of their pitches secret, but Boston has gone public with a massive development proposal on the scale of the Atlanta project. Along with Atlanta and Boston, the other 18 communities still in the running to land the Amazon project are Austin, Texas; Chicago; Columbus, Ohio; Dallas; Denver; Indianapolis; Los Angeles; Miami; Montgomery County, Maryland; Nashville, Tennessee; Newark, New Jersey; New York City; northern Virginia; Philadelphia; Pittsburgh; Raleigh, North Carolina; Toronto and Washington, D.C.